Candida Case Studies: Meet Trudy - YeastInfection.Org by Eric Bakker N.D.
Yeast infections are so prevalent because they are oven just plain over looked. The following story is typical in my office. If you are a health professional, you will most probably think of a few cases you may have right now which resemble Trudy. Trudy, age 62, came to see me several years ago complaining of irritable bowel syndrome (IBS). She had ongoing constipation and diarrhea for over ten years. “Far too many years to recollect,” she informed me. Trudy has been treated as an IBS patient by every practitioner she has seen, and was never considered to be a person who may have a serious yeast infection. Because she told them all that IBS is what a medical doctor had diagnosed her with several years ago, none of the practitioners she saw considered other options. Natural medicine practitioners had placed her on strict exclusion diets and the allergy diets, to no avail. Her doctor had treated her several times with antibiotics before he washed his hands of her and placed her in the “too hard” basket. Trudy mentioned that she had an itchy scalp and on close inspection I noticed that both her big toenails were thickened and discoloured. We completed a stool analysis and there it was – yeast in all three stool samples. But not only yeast, she also had several other bad bacteria and parasites present which is typical of a chronic ongoing digestive case like this. The opportunity exists for such a proliferation of dysbiosis; hence the term opportunistic infection is generally used. Trudy had a stool test completed years ago but was only tested for the basic pathogens like giardia, campylobacter, cryptosporidium and rotavirus, because she used to work at a children’s day care centre on occasion. All results were negative, as usual, and Trudy was left with no answers. It took almost six months to get Trudy in fine form. One of my biggest disgusts with conventional treatment of digestive complaints is the routine and overzealous prescribing of antibiotics by the doctors. 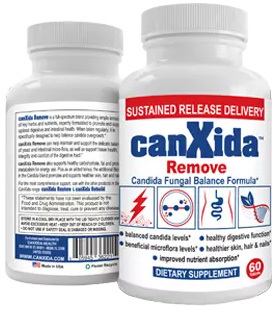 I have seen hundreds of candida patients over the years that have never been well since a round of antibiotics that was prescribed to them many years ago. Trudy was just another case. She had developed sore throats and chesty coughs in her late forties and was prescribed penicillin at least three to four times a year for a few years. She then developed the digestive problems that were again treated with yet more antibiotics. Thankfully, Trudy kept searching for answers and finally stumbled on the right one. As long as the doctors keep on prescribing these antibiotics, naturopaths will remain in business trying to help the patient recover from a yeast infection.